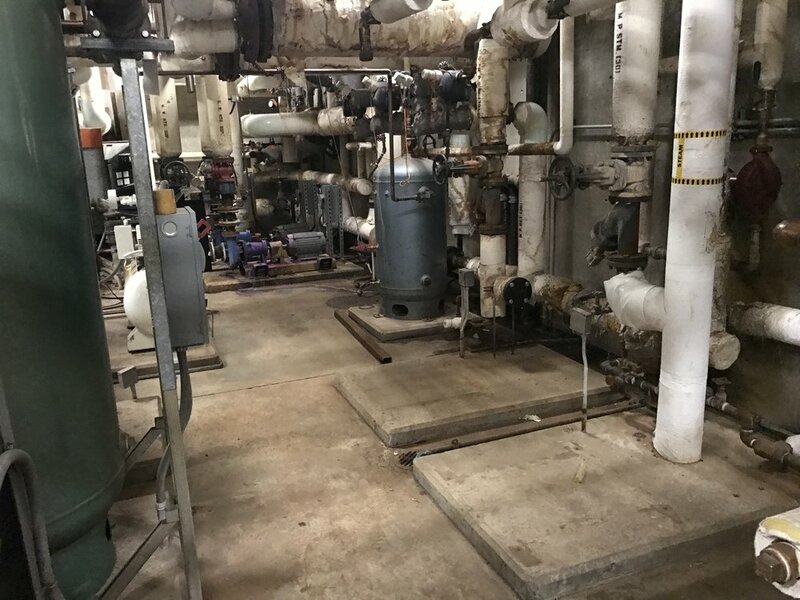 Work on this project included mechanical, piping, electrical, controls, and fire protection work in order to remove and replace AHUs 2-8 in Building 28 of the Thomas E. Creek VAMC. A temporary AHU was put in place during project work. After removal, all AHUs were replaced with new units, along with corresponding ductwork, coils, controls and VAV’s. Existing condensate, refrigerant, steam humidifier, HWS, HWR and reheat coils/VAVs were demoed and replaced. Project work ranged from the basement, floors 1-4, to the roof.